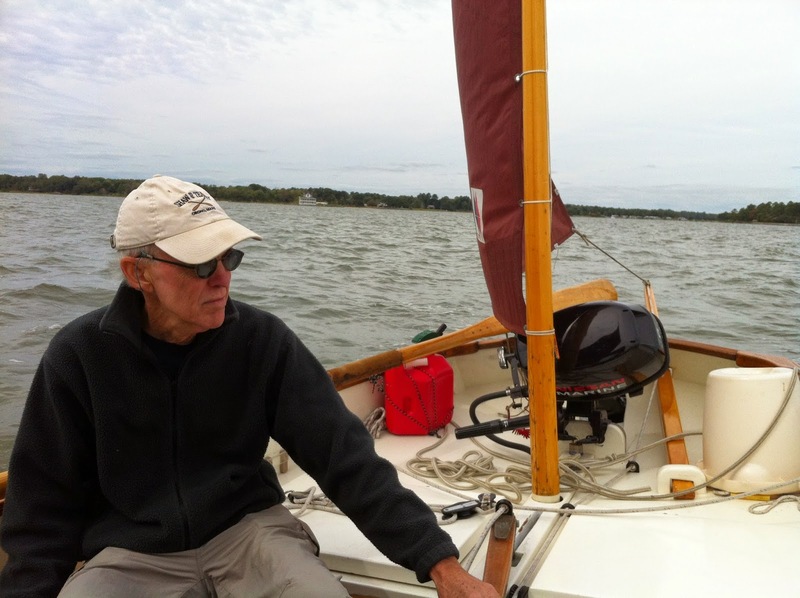 Earlier this week I had the opportunity to sail with new boat pal Curt Bowman in his Drascombe Lugger “Annie”. 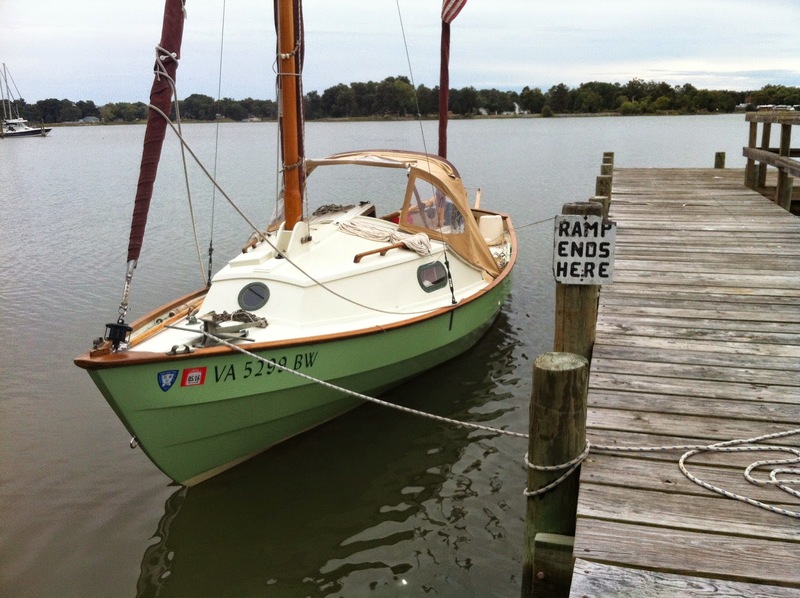 His boat is a cousin to the Webb Chiles open boat he crossed oceans in. I remember attending a talk years ago in Norfolk where Webb presented his journeys crossing the Pacific in “Chidicock Tichborne”. His talk made an impression on me then and no doubt was a contributor to my desires to build “Una”. I was struck by the range of adventure that could be had in a small boat. 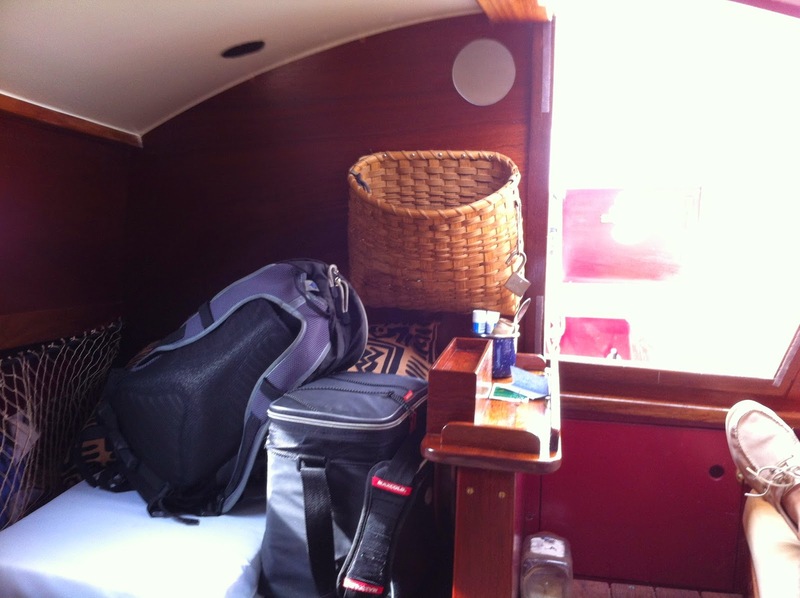 While I’ve no desire to replicate his journeys, I do appreciate the independence and reward of traveling in a small boat. 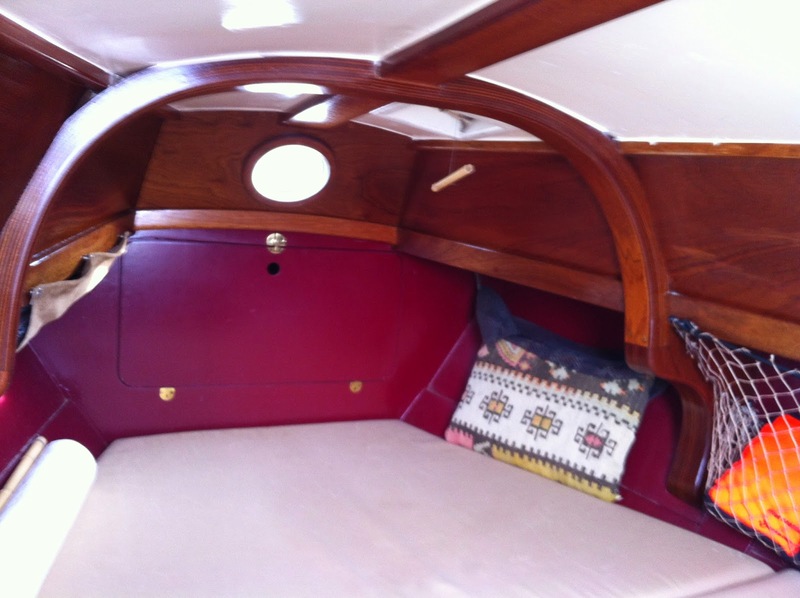 Curt’s boat has lots of details to make her a good solo boat. 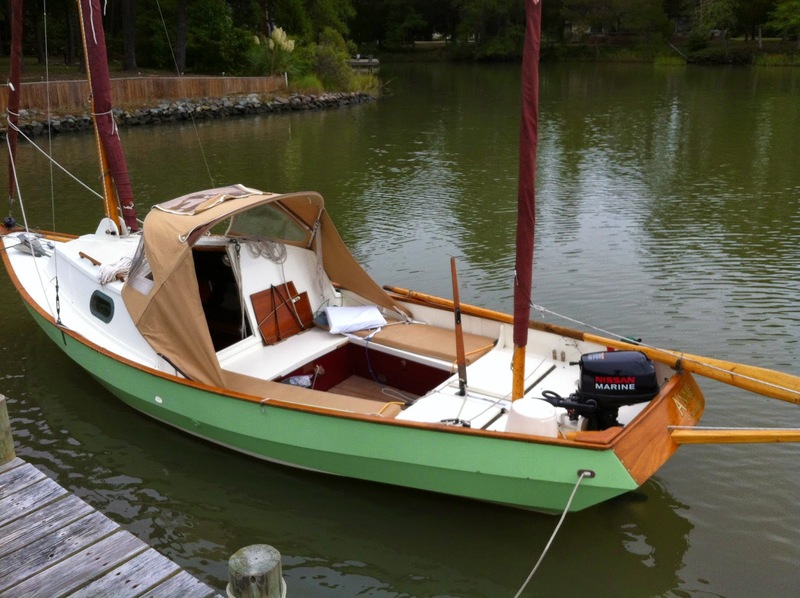 She was built in Maine by a licensed builder (you apparently cannot obtain plans from the English designer). Curt had a very function cuddy added for “Annie”. From details to color to shear, she is a fine little ship. A surprising amount of room. 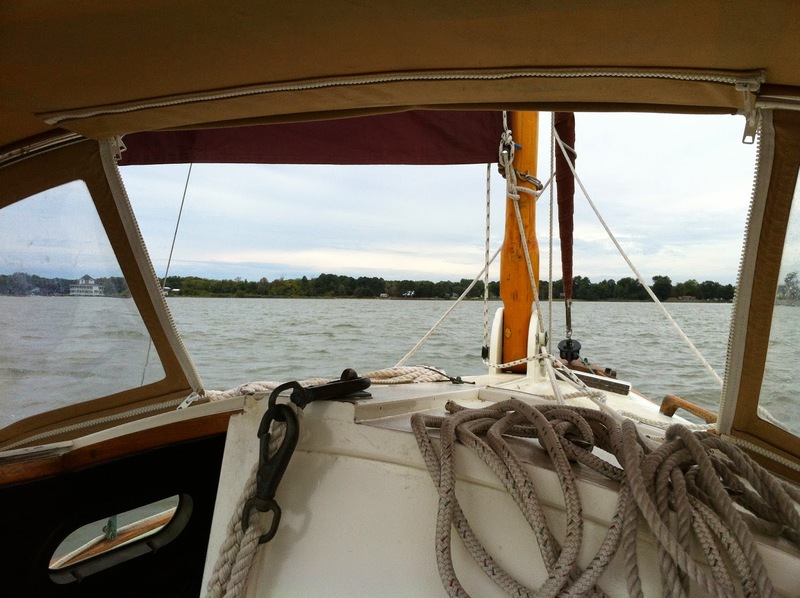 All in all it was a delightful sail on the Rappahannock. Thanks for the experience and conversation Curt!